In addition to online ordering, many of our customers visit our stores or place orders over the phone for installation at our locations, so if there are questions about what is best for your needs then absolutely call us at 877-999-8277. We can usually help and we're happy to talk! You can pick up your order at our shop, let us install it for you, or have your order delivered to you. We ship via UPS when possible and by LTL freight trucking companies for orders that can't go via UPS. Orders for stocked products placed before 4:00 PM EST will generally ship the same day. Please call 1-877-999-8277 to request special carriers, next-day service, tracking, freight collect, etc. It doesn't happen often, but we gladly accomodate returns and exchanges of new, original conditon product within 30 days of shipping. 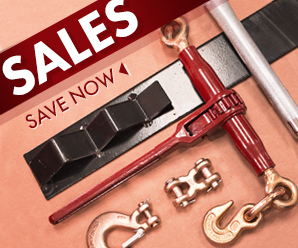 Just call us at 877-999-8277. Customer is responsible for proper packaging of the returned product, and unless we made an error or the item is defective, customer is also responsible for return freight charges and a 10% re-stocking fee will apply. We are unable to accept returns of products that are customized or manufactured to customer specifications, or products that have been used or exposed to environmental conditions. 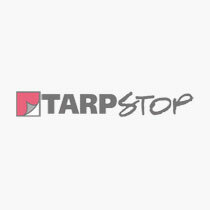 Prepayment is required in situations where Tarpstop sends replacement product prior to receiving returned product. Once we receive your returned product in new condition we will refund the difference after applicable restocking and freight charges.